The Future Standard of Sound Technology has launched a new Kickstarter campaign this month for their unique 3D 5.1 Virtual Surround Sound 360 Earbuds with Premium Sub Bass. The Kickstarter campaign has already raised over twice its original pledge goal with still 47 days remaining on its campaign. Check out the video below to learn more about the Virtual Surround Sound 360 Earbuds. 360 Earbuds is using technology to change the way earbuds deliver sound. 360 provides true fidelity, delivering the most enjoyable listening experience. 360 is redesigning the mechanical structure of earbuds, taking leaps away from the basic structure of today’s earbuds. 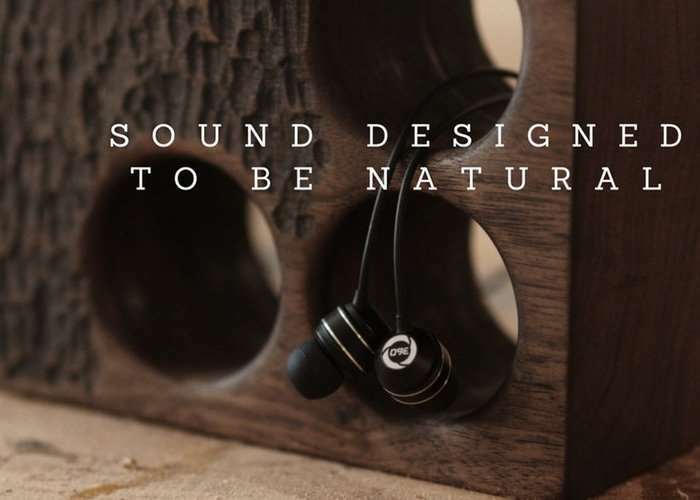 This patented technology combines its own balance of electro-acoustic theory and electro-acoustic materials to produce sound the way it was created. With this new mechanical approach to earbud technology, you can now listen with 5.1 virtual surround sound, the dynamic frequency range from 8Hz-20KHz, and the truest bass realized on an earbud platform. The way you listen will be changed forever. Part of our patented technology is in the mechanical structure, which does not rely on digital solutions to enhance the sound. We see the earbud as an instrument, and an instrument is designed, shaped and built to produce a particular output. We took the same concept and applied it to the earbud, making 360 an instrument for listening. 360 earbud technology has been 10 years in the making with research and development. You will be the first to hear true sound replication with in-ear headphones.